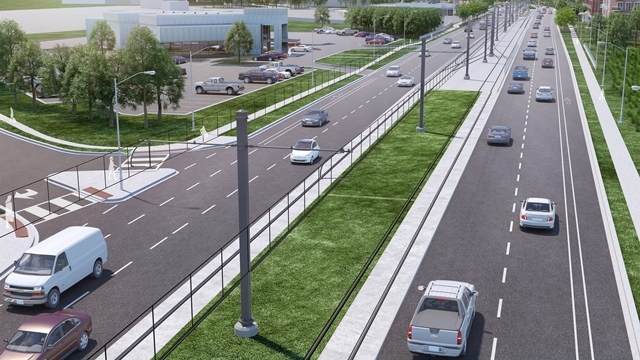 Learn about the western terminus station on the Crosstown LRT. View the fact sheet. Learn all about the making of the twin tunnels that make up 10km of the Eglinton Crosstown LRT. View the fact sheet. The tunnel boring machines are being moved! Learn more about this 400 tonne move. View the fact sheet. Learn more about some of the facts and features of the surface section of the Crosstown LRT line. View the fact sheet. Metrolinx is preserving the former Kodak building and incorporating it into the design of the future Mount Dennis Station. Read more. Under AFP model, the public sector establishes the scope and purpose of the project, while the construction work is financed and carried out by the private sector. Read more. At a cost of $5.3 billion, the Eglinton Crosstown is the largest transit expansion in Toronto’s history. Read more. The tunnels for the Crosstown will be constructed by two pairs of large tunnel boring machines (TBMs). Read more. An infographic to show what the Eglinton Crosstown is all about. View the infographic. Identify the myths versus facts of the LRT. View the infographic. Check out how much soil we excavated! View the infographic.